Viferon - complex preparation containing recombinant human interferon alpha-2, ascorbic acid and alpha-tocopherol acetate. 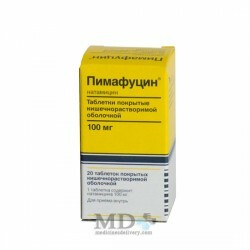 The drug has antiviral, immunomodulatory and antiproliferative action. Interferon activity in the body enhances T helper cytotoxic T lymphocytes enhances the phagocytic activity, the intensity of differentiation of B-lymphocytes. Interferon has no direct antiviral effect, but is affected by a virus in the cell and in the surrounding cells, changes that prevent the reproduction of the virus. Also promotes the release of viral particles from cells affected their inactivation other immune agents. It is also inhibited the replication and transcription not only viruses and some bacteria, such as Chlamydia. Damage to cell membranes, their permeability violation and elasticity, which permanently occurs at the development of infection, reduces the efficacy of interferon. Ascorbic acid and tocopherol acetate are powerful antioxidants and membrane components. In combination therewith the effectiveness of interferon increases by 10-15 times. Furthermore, their presence increases the immunomodulatory effect of interferon in the T-and B-lymphocytes, leads to normalization of IgE, reduce manifestation of side effects. When applying Viferon even for a long time not form antibodies that neutralize IFN. Use of the drug can significantly reduce the dose and duration of treatment with antibiotic therapy, hormonal therapy and cytotoxic drugs. 12 hours after the application, which is significantly longer than intravenous interferon and necessitates Viferon repeated administration every 12 hours. In preterm infants with gestational age less than 34 weeks of drug appears faster, and there is a need to re-introduce to 8 hours after application of the drug. For external use drug Viferon systemic effect almost does not occur due to the low adsorption of the drug. Combined therapy of various infectious and inflammatory diseases in children and adults, including acute respiratory viral infection (influenza, respiratory problems complicated by a bacterial infection), pneumonia (viral, bacterial, chlamydial), meningitis (bacterial, viral), sepsis. Intrauterine infection including Chlamydia, herpes, cytomegalovirus, Candida (including visceral), mycoplasmosis. Combined therapy of hepatitis B, C and D, in children and adults, including those with chronic viral hepatitis severe degree of activity and complications of cirrhosis of the liver. Combined therapy of urogenital infections in adults, including pregnant women (chlamydia, cytomegalovirus infection, ureaplasmosis, trichomoniasis, bacterial vaginosis, HPV infection, bacterial vaginosis, recurrent vaginal candidiasis, mycoplasmosis). Herpes infection, including genital form. In the treatment of various infectious and inflammatory diseases in children, including premature: infants with gestational age over 34 weeks, administered daily Viferon 150000ME 1 suppository 2 times a day. The course of treatment - 5 days. Preterm infants with gestational age less than 34 weeks of daily Viferon 150000ME 1 suppository 3 times a day every 8 hours. The course of treatment - 5 days. Subject to repeat courses in various diseases, but the interval between the courses must be at least 5 days. In children, including premature refresher courses are held in sepsis 2-3 courses, with two courses of herpes infection, cytomegalovirus infection, mycoplasmosis, candidiasis 2-3 courses. When ARI and pneumonia at the physician may also be a repeat course of treatment with Viferon. Children, depending on age appointed: up to 6 months - 300000-500000ME a day, from 6 to 12 months - 500000ME a day, from 1 to 7 years - 300000ME per 1m2 of body surface area per day. Children under the age of 7 years - 500000ME per 1m2 of body surface area per day. Dose divided into 2 doses with an interval of 12 o'clock the first 10 days of every day, then three times a week, every other day for 6-12 months. Adults appoint Viferon 3000000ME 1 suppository 2 times a day with a break 12:00 first 10 days of every day, then three times a week, every other day for 6-12 months. 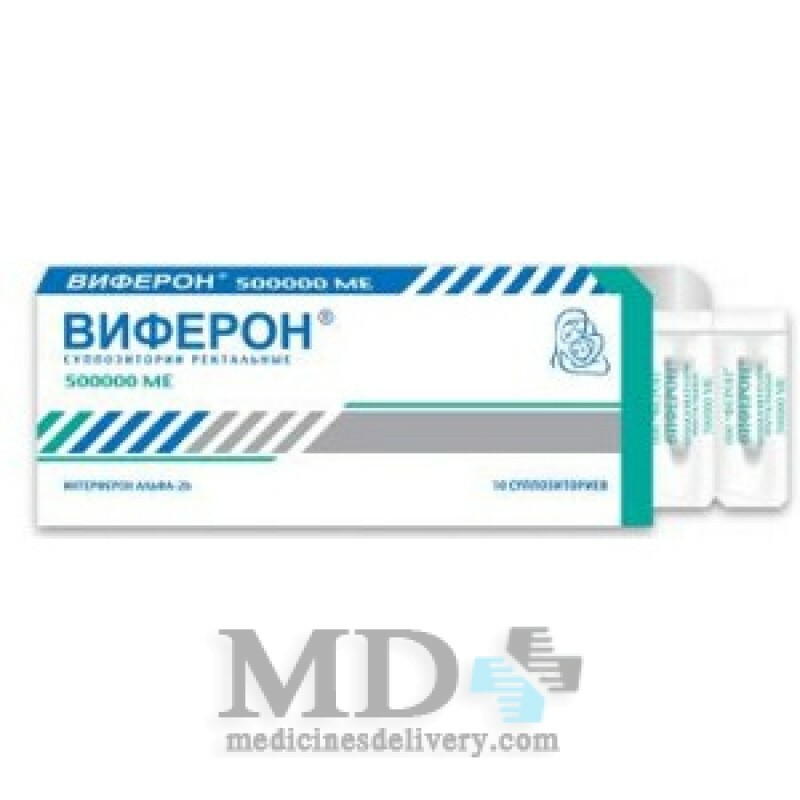 Adults appoint Viferon 500000ME 1 suppository 2 times a day with a break of 12 hours. The course of 5-10 days. According to the testimony can be held an additional course of 5 days break. 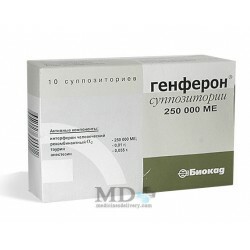 In herpes infections appoint Viferon 1000000ME 1 suppository 2 times a day with a break of 12 hours. The course of treatment is 10 days. Treatment should be started at the first sign of the disease. 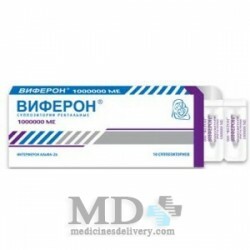 Pregnancy (from 14 weeks gestation) Viferon 500000ME 1 suppository 2 times a day every 12 hours for 10 days, then 1 suppository 2 times a day twice a week for 10 days, then after 4 weeks should prophylactic course Viferon 150000ME suppository from 1 to 2 times per day for 5 days. Preventive courses are held every 4 weeks until delivery. Assigning Viferon 500000ME 1 suppository 2 times a day every 12 hours. The course of treatment 5-10 days. In rare cases, may develop allergic skin reactions such as itching and hives that go through 72 hours after discontinuation of the drug. Ointment: side effects were not identified. Application possible from 14 weeks of pregnancy, restrictions for use during lactation is not. The drug is compatible and blends well with all drugs used for the treatment of the above diseases (antibiotics, chemotherapy, corticosteroids). There are no reported cases of overdose. Suppositories for rectal use by 10pc. a blister, and 1 or 2 contour packing in a cardboard box. Store in a cool dry place at a temperature of 2-8 degrees Celsius. Shelf life: Suppositories - 2 years. Before shipping Viferon is covered with a aluminium film and soft packing film to prevent thermal and shocking issues.